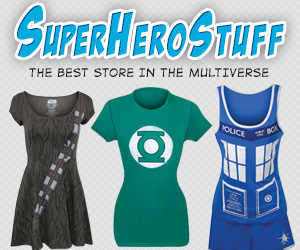 One of my very favorite things about shopping Etsy/Indie brands is the wide range of nerd-inspired items. While some people collect figures or movies or comic books, I like to indulge my merch/swag desires via cosmetics and cute clothes! Whether it’s Zatanna-themed eyeshadow (thanks, /r/IndieMakeupandMore for that find), Skyrim-inspired “Skooma” tea or just Nova Corps t-shirts to make me feel like even my casual errands or workouts are cosmic-level superhero shenanigans, I dig nerdy goodies that I can actually use, not just collect. So when I somehow stumbled upon the Fresh Geeky Scents shop and noticed that she has a collection of Mass Effect inspired perfumes, I knew that I totally had to check them out. CONVICT: Jack or Subject Zero is a strong, unique woman who doesn’t take crap from anyone. This perfume is a dark, dusty vanilla with hints of woods. Sounds simple but this is truly a unique scent perfect for the woman who isn’t afraid to speak her mind. ASSASSIN: A fresh aquatic unisex fragrance inspired by everyone’s favorite Drell, Thane. This scent opens with notes of citrus and melon and finishes with musk, moss and wood, all bathed in a fresh floral aquatic scent. The perfect fragrance for him or Siha. THIEF: This perfume, inspired by Kasumi’s love for Keiji, will have you falling in love at first whiff. Main notes of cherry blossom fill the air with hints of lilies, freesia and sandalwood. A truly fresh and romantic scent – perfect for a date, or a stroll though the park, and perhaps most importantly light enough that Kasumi wouldn’t give herself away in the middle of a heist. I got my order this week, and I’m really pleased! First of all, shipping was really fast – she shipped out the morning after my late-night order and I got my items in less than a week. Everything was packaged securely and cutely (sparkly ribbons and multi-colored paper!) and she even included some free candy. How did she know that watermelon airheads are my weakness?! For my individual thoughts on each scent, read on!